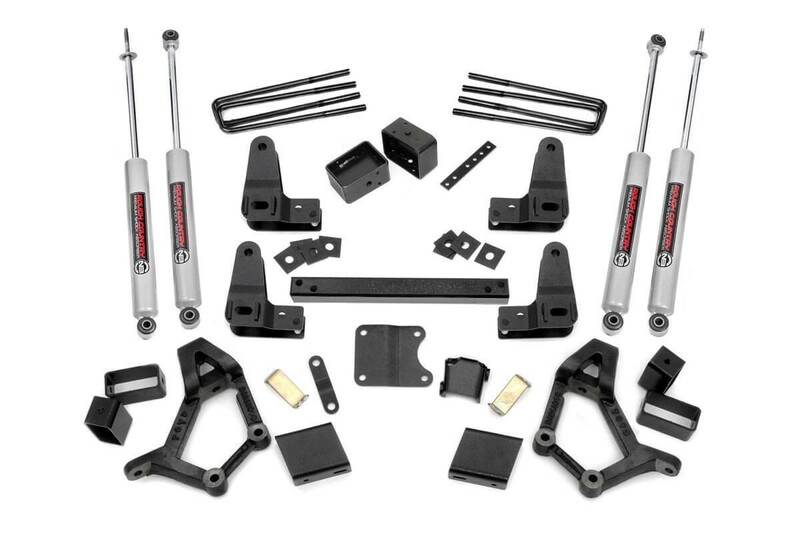 The IFS front lift is achieved by dropping the lower control arms with front and rear crossmember drop brackets. The upper control arms remain in their factory location and new lifted cast knuckles connect the upper and lower control arms. The front differential is also lowered to maintain proper CV angles.